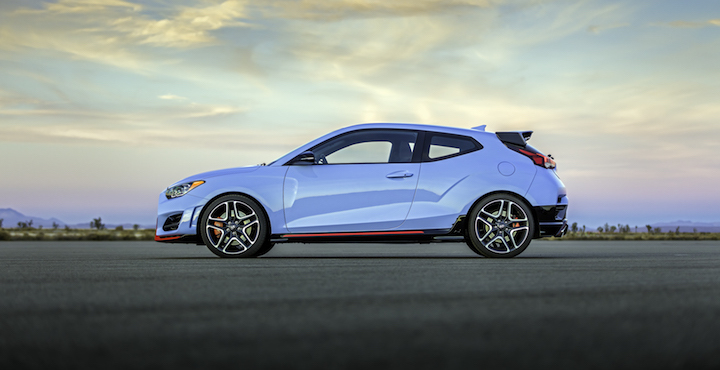 Tyrone Johnson, who served as the chief engineer for the Ford Focus RS, has defected from Ford Motor Company and is moving into a new role with South Korean automaker Hyundai/Kia. According to Autocar, Johnson, who led the development of the Focus RS, will now serve as the head of vehicle integration at Hyundai/Kia. Johnson succeeds Albert Biermann in the role, who was recently promoted to head of research and development at Hyundai/Kia – becoming the first non-Korean to hold the position. Biermann was the former head of the BMW M performance division and has been critical in the launch of Hyundai’s relatively new ‘N’ performance sub-brand. Hyundai N stands to be a formidable rival for Ford’s ST sub-brand. Similar to ST, some of N’s first products have been fun-to-drive hatchbacks like the Veloster N and the i30 N. The brand is also rumored to have hot versions of Hyundai crossovers on the way, along with a performance EV and perhaps even a hydrogen-powered performance concept. Hyundai N also offers performance-inspired models with N-branded parts called N Line – very similar to the ST Line models Ford offers in Europe. The Korean brand recently launched its first N Line product for North America, the Elantra GT N Line hatchback. As you probably already know, Ford has no answer for such a product like this, with the automaker choosing to sell crossovers, SUVs and trucks only going forward. Instead of offering up performance hatchbacks, Ford’s ST brand is now being used to prop up the automaker’s crossover/SUV portfolio. The automaker recently introduced the Ford Edge ST and Explorer ST and could have similar products on the way in the future, like an Escape ST, for example. It’s not yet clear when Johnson will move into his new role with Hyundai/Kia. Subscribe to Ford Authority for the latest Focus news and around-the-clock Ford news coverage.